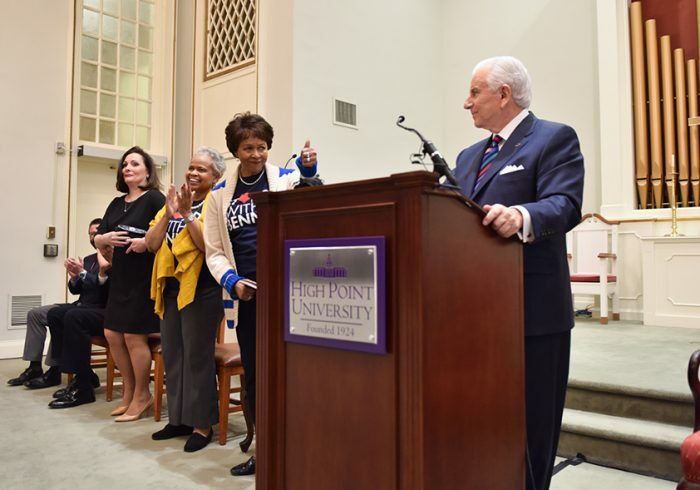 Phyllis Worthy Dawkins, Bennett College president, gives High Point University President Nido Qubein a thumbs up as they speak to a crowd of Bennett and High Point students inside HPU’s chapel, where Qubein made HPU’s $1 million contribution. announcement. As the last week in January began, Bennett College was an institution in flux, fighting for its life. As the following week closed, the North Carolina liberal arts college serving women of color had raised at least $8.2 million in its #StandWithBennett campaign. That’s well more than the $5 million minimum needed for its appeal to the Southern Association of Colleges and Schools Commission on Colleges, which removed Bennett from membership in December for financial reasons. Neighboring High Point University sits high on the long list of donors who stepped up to stand with Bennett. President Nido Qubein spearheaded his university’s $1 million pledge, announcing it on Bennett’s Friday deadline as a challenge to others. And he didn’t arrive at Bennett’s press conference on Feb. 4 empty-handed. Over the weekend, he had helped raise an additional $357,500. “When Nido announced his big gift, I did not see it coming, but it is completely in character for him,” says Richard Ekman, president of The Council of Independent Colleges. Ekman had been following the Bennett news with concern, and had written to CIC members to encourage contributions. Bennett is one of only two all-women’s historically black colleges and universities in the nation. With the clock ticking in the days leading up to February 1, Qubein talked individually with the board chair, past chair and incoming chair, and then called a faculty meeting. “I laid the case before them and told them we’re going to need their support to do this,” he says. He also made a key point: The donation would not be redirected from their budget, nor would it in any way be harmful to them. It would come from High Point’s community engagement fund. The $1 million gift to Bennett does represent a significant portion of that fund, which is an operating budget line item the university allocates annually to invest in community resources, says Pam Haynes, assistant vice president for communications at High Point. High Point teaches students to reach out through stewardship and philanthropy, across the city and region, so Qubein saw the funding source as keeping in line with its mission. He gained support from board leaders and faculty, with 94 percent of faculty voting in favor of the gift. 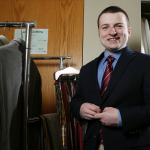 “I knew they would be giving and kind and respond warmly to my recommendation, but I completely underestimated the level of enthusiasm and the positive discussion of the issue,” says Qubein. Qubein can envision being very open to any future request from Bennett to collaborate, such as through an academic partnership or to talk about enrollment strategy. As for any direct benefits from the gift, he says they would only be on the spiritual level. “Are we looking for a return on investment? Yes, we are, but that will be realized when Bennett College gets accreditation,” he says. Ekman also views the move as having a ripple effect in higher ed. 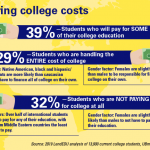 “We may not see other million-dollar donations to neighboring colleges that are hurting, but what Nido has done is establish the responsibility of all of us to preserve the diversity of the opportunities of our institutions collectively,” he says. However, there is a tradition of institutions helping other institutions. For example, predominantly white universities have hosted HBCU faculty and sent some of their faculty to HBCUs, he says. All the momentum of the week leading up to February 1 may have prompted others to act. Bennett received a $1 million surprise gift from the daughter of an alumna—a gift they had received notification about the day before that deadline. And High Point parents, students, faculty and staff “somehow over the weekend got in line to send checks or deliver checks,” Qubein says, adding that he has “every confidence” the commission will accredit them. Qubein revels in the fact that Bennett’s fundraising wasn’t just about a high-profile person writing a $5 million check to solve the whole problem. “This isn’t about money,” he says. “This is about the spirit of stepping up for a good cause. UPDATE: Bennett presented evidence of having raised $9.5 million to the Southern Association of Colleges and Schools Commission on Colleges’ appeals committee at a February 18 hearing. The committee rejected the appeal and Bennett filed a lawsuit against the commission and a motion for a temporary restraining order to prevent the commission from revoking the college’s accreditation. On February 22, the college’s accreditation was restored by a federal court for the period of time in which legal proceedings take place. That period is expected to last several months. Editor’s note: Nido Qubein will deliver a keynote address at UBTech 2019 in Orlando, Fla., June 10-12; www.ubtechconference.com. Lectra's virtual prototyping and development solution DesignConcept will be implemented by program's exploratory design studio.